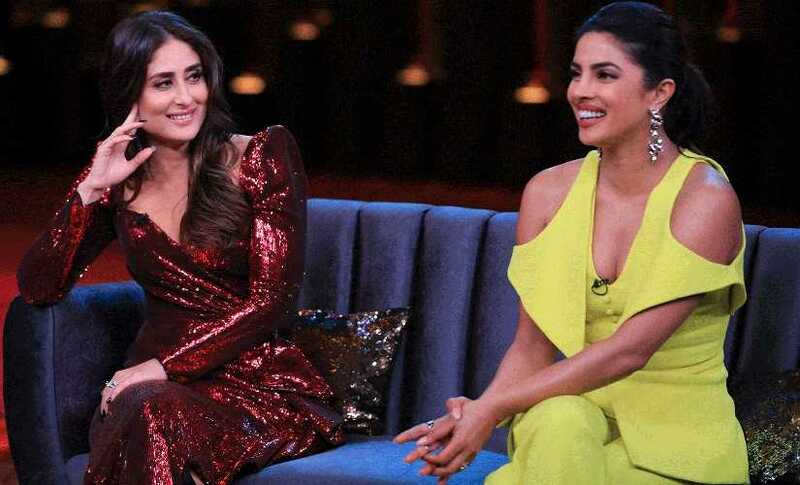 With an explosive grand finale featuring Kareena Kapoor Khan and Priyanka Chopra, Koffee with Karan season 6 comes to a close. The final episode of this season will air this Sunday when Kirron Kher, Malaika Arora, Mallika Dua and Vir Das will act as the jury and present the Koffee Awards, as is the custom. Before that happens, Firstpost has decided to be the self-proclaimed jury and give away awards of its own. 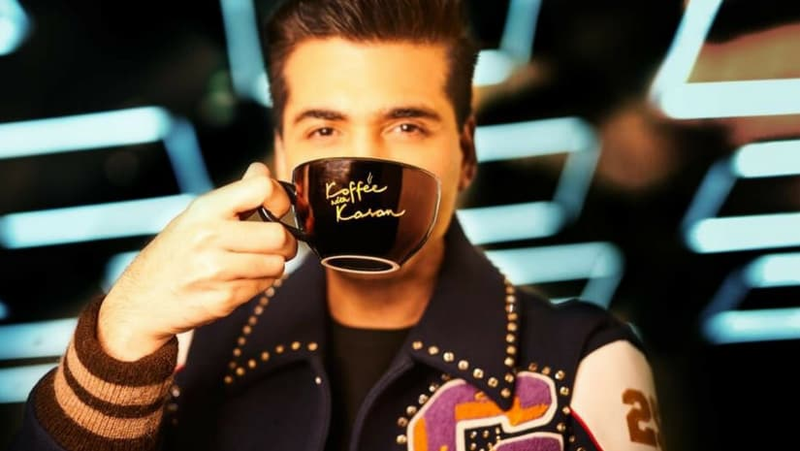 This season of Koffee with Karan was not the best one in its 15-year-long history, but was a step above the last season, which was arguably the most underwhelming of all time. The only saving grace from last year was the instance when Kangana Ranaut called Johar "the flagbearer of nepotism", thus setting the tone for a narrative that continues till date. But that remark did not prevent Johar from inviting many more star kids for a cuppa this season. The vibe of this season was rather familial as sibling pairs dominated the Koffee couch combinations. But as a balancing act, Johar also ventured into other non-Bollywood spaces to introduce some fresh combos to the Koffee set. For the first time, there were two music composers-singers on the show in Diljit Dosanjh and Badshah. As another detour, Prabhas, Rana Daggubati and SS Rajamouli, the Baahubali trio, also made their Koffee debuts. 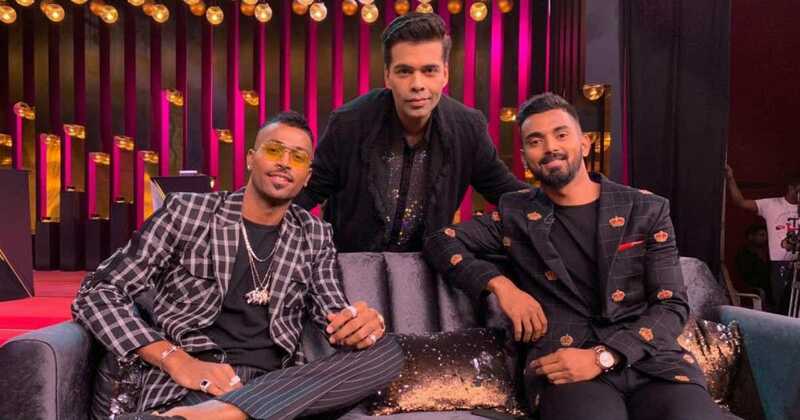 And in what turned out to be a misfire, Hardik Pandya and KL Rahul became the first sportsmen (cricketers) to appear on the show. The 'superstar' energy was relatively lackluster this season with the conspicuous absence of Salman Khan and Koffee veteran Shah Rukh Khan. While Akshay Kumar appeared again with whom he called a younger version of himself — Ranveer Singh — Ajay Devgn shared the couch with his wife Kajol. It was the actresses who take over to channel their inner superstar. Alia Bhatt and Deepika Padukone kicked off the season, and Kareena and Priyanka ended it with a bang. Katrina Kaif also showed up sharing the couch with Varun Dhawan. Johar's show focused equally on the superstars of tomorrow. Season 6 featured several pairs of breakthrough actors, like Vicky Kaushal-Ayushmann Khurrana, Kartik Aaryan-Kriti Sanon, Tiger Shroff-Ananya Pandey-Tara Sultaria and Bhumi Pednekar-Rajkummar Rao. As far as the format is concerned, we didn't enjoy both guests entering the set at the same time. This move to come straight to business would have felt right only if the urgency was followed by meaty content. We still prefer the old school style of introducing one guest, talk to them for a few minutes before introducing the other guest. That lent the show a sense of intrigue. While this was the subtraction we longed for, the best addition was the concluding bit of the game round. Both the guests were required to call up members of the film fraternity and make them say, "Hey Karan, it's me". This round gave an insight into who gels well with whom. Below are the various categories of our Koffee Awards and their winners. What can draw potential viewers to their TV screens every Sunday at 9 pm, without the crutch of any promo or media coverage, is a combination of guests that was waiting to happen for years. Since familial pairs became the convenient norm this season, we have excluded those from our consideration. Given their history, it was a close call between Alia-Deepika and Kareena-Priyanka. Both had a 'commonality' (and not a "point of contention", as Chopra pointed out) in Ranbir Kapoor and Shahid Kapoor respectively. But since they have established themselves into bonafide superstars and have left their rather open rivalry way behind, Priyanka and Kareena could let their hair down. Deepika and Alia, who are still in the rat race, did not boast of the same abandon, though their banter seemed sweet and fun. I don't remember the last time I laughed so much in an episode. Diljit Dosanjh was a laugh riot on his Koffee debut alongside Badshah. From looking back fondly at his humble beginnings to crushing over Kylie Jenner and Gal Gadot, Dosanjh was the right dose of unadulterated laughter one needed on Koffee with Karan, after the absence of the always-witty SRK. Hands down, the most boring episode/celebrity on the show was Aamir Khan. He established right from the word go that he was on the show to promote his then-upcoming disaster Thugs of Hindostan. Aamir reacted to Johar's witty questions and retorts with the same speed as his pirates film tanking at the box office. We can do with a better Khan in season 7. Many otherwise reserved celebrities broke free of their perceived images and gave answers full of fire. Ajay Devgn, who has reportedly won the 'Answer of the Season' award, was one of them. Harshvardhan Kapoor seemed like he was saving his energy throughout the show only to outwit his rather eloquent sisters Sonam and Rhea to win the Rapid Fire round. Shweta Bachchan, who admits she is more of a writer than a talker, embraced the latter, probably owing to her familiarity with Abhishek and childhood friend Karan. Shahid also brought his A-game to the show with some candid confessions, spelt out in a commendably confident way. But for us, the winner was the relentlessly introverted Prabhas. 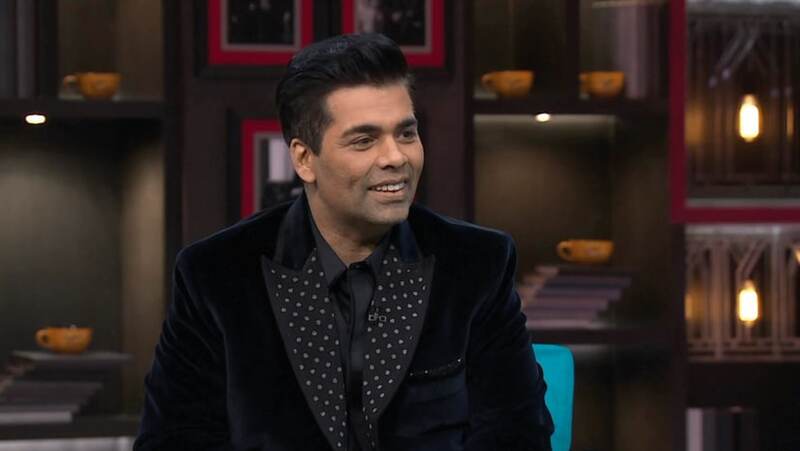 He is considered arguably the most difficult superstar to get an interview out of, but he used his silences to his advantage on Koffee with Karan and exposed a refreshingly fun side of him to the audience. The idea behind adoring the background wall with a life-sized 'Stop Making Sense' sign was to encourage celebrities to just have fun. "It just means that no one's watching you so stop making sense. You know how they say, 'Dance like no one's watching,' so this just means chat like no one's listening," Johar had explained in an interaction with Firstpost. But Hardik Pandya and KL Rahul went a bit overboard with their abandon. Repercussions awaited the two when they were temporarily suspended, prompting Johar to issue an apology as well for encouraging their behaviour. Before we explore the options, Deepika is the winner, undoubtedly. She had the gall to say that Alia would get married before she does. Little did she know that before the episode premieres, her impending wedding with Ranveer Singh will be the talk of the town. Though she did admit it later on the show that she would get married first, it ached to see her lie through her billion dollar smile. There were several confessions throughout the show. From Saif Ali Khan talking about how fiercely competitive Akshay Kumar is to his daughter Sara opening on the separation of her parents, the Koffee couch brought out the guests' deepest darkest secrets. Some more among these were Kajol expressing how the rift with Karan affected her emotionally and Badshah naming Kartik Aaryan as an overrated actor. Harshvardhan claimed he would have done a better job of Andhadhun and Abhishek Bachchan confessed to his insecurities while playing second fiddle to stars like SRK and Akshay. But the confession that had the most ripples was that of Shahid, when he confirmed that there was tension between him and his Padmaavat co-stars Deepika-Ranveer and director Sanjay Leela Bhansali because he felt the screen time was not divided fairly among the actors. He also claimed that Ranbir and Ranveer are not competition to him, but to each other. While trying to extract juice from his guests, he often ended up provoking them with the 'conjecture' doing the rounds in the media. He fueled the grapevine irreversibly when he, on more than one occasion, confirmed rather matter-of-factly that Malaika is dating Arjun Kapoor. He ain't no secret keeper. There were many strong contenders like Diljit, Vicky, Ayushmann, Rajkummar, Prabhas, Rhea and Kartik, the most holistic performance on the couch was that of Sara Ali Khan. From talking in great detail about her parents' divorce, her equation with Kareena, ongoing battle against PCOD and 'rivalry' with Janhvi, Sara handled herself with great dignity, but also managed to pepper some well-needed candour over her answers. This writer is not obsessed with white but the colour (or rather the lack of it) does stand out. It pierces through the kaleidoscopic gowns and black ties to serve as the new 'it' colour on the Koffee couch. Deepika Padukone, in the season premiere, and Rajkummar Rao, would share this honour, thanks to their impeccable all-white ensembles. It will not be a surprise if Janhvi, Arjun, Aamir and Rana make their way to this list. But even the usually reliable Ranveer and Aditya Roy Kapur were not at their entertaining best. But the biggest letdown was unfortunately the young and dynamic Ishaan Khatter. He somehow felt like he was holding back a lot in the presence of his elder brother Shahid. Given the spark in him on and offscreen, we know he can do much better without some self-imposed intimidation. He had missed only one season (4) till this one, because Karan and him were going through a rough patch. While there are no such reports now, SRK was sorely missed on the couch he has ruled since 2004. He always makes for an entertaining guest, despite how formidable a fellow guest he has every season, from Kareena to Ranveer. It has been a while since he has been on the Koffee couch. He was a part of every Rapid Fire round, pitted against Rajkummar, Vicky and Ayushmann, when Karan asked his guests to choose the biggest "new-age breakout" star. While he is definitely not new-age, inviting him on the show would have been a fair move.